As companies are scaling up quickly during this time of digital transformation, many are discovering the benefits of a hefty IT department. However, they are not finding the budget to go with it. To meet this demand, many cloud service providers are offering a variety of services that meet the IT needs of organizations in a more cost-effective and productive way. 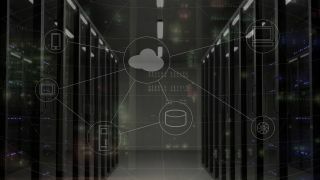 Infrastructure as a Service or IaaS has exploded in popularity in the last year as a service that delivers virtualized computing resources to organizations using the internet. As technical as it sounds, IaaS is a great tool to enhance the health of your IT department. You may have heard of other cloud services such as SaaS or software as a service and PaaS or platform as a service. IaaS uses the cloud to hold critical processes for computing within your business. Within IaaS, cloud service providers host operating systems, equipment, servers, storage systems are other IT tools and components in one automated model. Depending on the service provider, you may benefit from maintenance and data backup added into your service plan. Using IaaS, you no longer have to use your own data center to house your computing components. Instead, IaaS provides access to all resources inside of a virtual environment, usually using the internet. Not only are you given access to the components, but you are able to build your own IT platforms on the infrastructure itself. However, single-tenant infrastructures are best for clients who need to be separated from other clients. The cost is higher than multitenant, and the experience is similar to run of the mill third-party hosting services. However, through IaaS, you are given the opportunity to access more scalable options that simple hosting can give. IaaS can be used for various purposes within an organization. For example, in digital business, IaaS is the perfect tool for digital marketing, CRM and IoT. IaaS is also a great tool for executing agile projects through rapid application development and flexibility. Datacenter substitution and batch computing are also on the list for the best uses of IaaS. IaaS has many benefits over traditional third-party hosting and hosting on your own servers. In fact, it is the only scalable option that still allows for the customization your organization needs. Let’s discuss some of the benefits in more detail. IaaS services follow a utility model that is unique to cloud services. You pay as you go and for what you use, instead of a bunch of tools you don’t ever touch. IaaS services are ready to go at a moment’s notice, reducing the time required for implementation, training and customization. Scaling up your business requires more IT power to maintain your growth. Fortunately, IaaS offers quick scalability in a cost-effective way. Are you an SMB or small to medium-sized business? If so, you may understand how difficult it is to finance a complete IT department to handle your IT needs. With IaaS, there are no upfront costs associated with using the infrastructure. You will pay as you go for exactly the amount you use. There is no maintenance for you, leaving you free to focus on your products or services. Your IT department is important for your business success. However, so is product development and research. Using a cloud service provider for your infrastructure allows your team to focus on other important areas that may have been neglected. IaaS services have virtually no set-up and do not require intensive user training. They also do not require any maintenance on your end. What could your team be doing without all of the repetitive computing tasks? In business, we sometimes forget to prepare for the lows while we are overcome by the highs. Infrastructure as a Service offers a level of scalability that is unmatched. During moments of low demand, IaaS services can be scaled down to fit your needs. Once demand is up again, IaaS can follow suit, saving you time and effort. IaaS is the perfect tool for organizations of any size looking for scalability, flexibility and functionality and your business should be taking advantage of it. If you don’t, you are missing out on cost and time-saving benefits. This blog was originally published on New Era Technology's website.